Looking for the new travel trailer that is going to include everything that you need to be able to begin your new hobby or lifestyle of camping? Are you unsure of where to begin your search for your next camper? 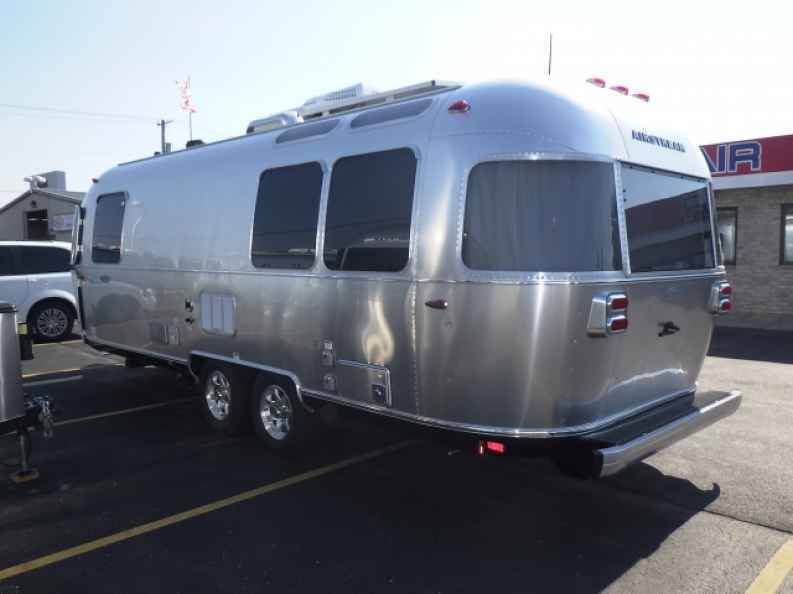 Your local Airstream dealer of Ewald Airstream of Wisconsin in Franklin, WI has got you covered and has all of the new Airstreams for sale, Airstreams used, and others! Your Airstream dealer with Airstream Financing has the vast and diverse inventory of campers that you desire to be able to explore all of your options to find the Airstream floorplan that is going to fit you the best. You are sure to find the new Airstream or Airstream used that is going to work perfect for you thanks to the amount of great inventory that we house right here at our Airstream dealership, with many different floor plans available, all the way from the compact and versatile Airstream Basecamp for sale, to the Airstream International Serenity for sale, and everything in between such as the Airstream Flying Cloud, Airstream's most popular model! Stop into your Airstream dealer of Ewald Airstream of Wisconsin and take a tour through the new Airstream Flying Cloud today, the new 2017 Airstream Flying Cloud 25FB, and see what it is all about and explore our Airstream Financing details! You will not need to worry about feeling claustrophobic inside of this new Airstream for sale, with a length of 25-feet, an exterior width of 8-1/2 feet, and an interior height of 6'-8", you will have more than enough room to move around easily inside of the Flying Cloud 25FB. 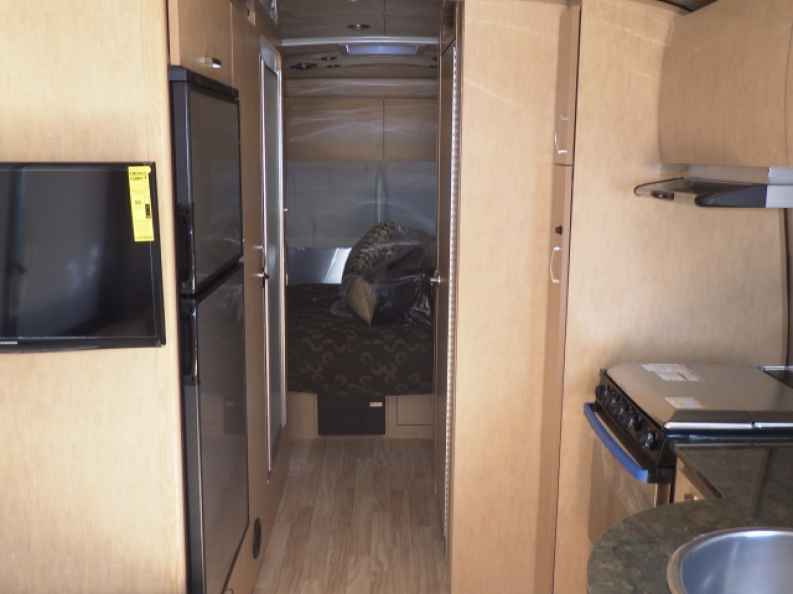 Equipped with a full kitchen with electric stove, microwave, sink, and refrigerator, as well as a full wet bathroom and being supplied with a 39-gallon fresh water tank, a 37-gallon gray water tank, as well as a 39-gallon black water tank, you are sure to have more than enough water while out on all of your adventures. The Flying Cloud from your Airstream dealer in Wisconsin feels so much like home with its luxurious properties that you may feel more like you are staying in a five-star hotel, just with a much better view of the great outdoors. Towing your new Airstream Flying Cloud is easier than ever now thanks to its inclusion of an advanced Trailer Anti-Sway system that helps keep your camper in track as it's being towed behind you in the wind, making it easy for many new campers to take it anywhere! Stop into your local Airstream dealer of Ewald Airstream of Wisconsin and take a look at all of our new Airstreams for sale and our Airstream used inventory today and allow one of our friendly and expert team members to take you for a tour through the Airstream Floor Plan that appeals to you and your needs the most. Ewald’s Airstream of Wisconsin is located at 6319 S 108th St in Franklin Wisconsin 53132.